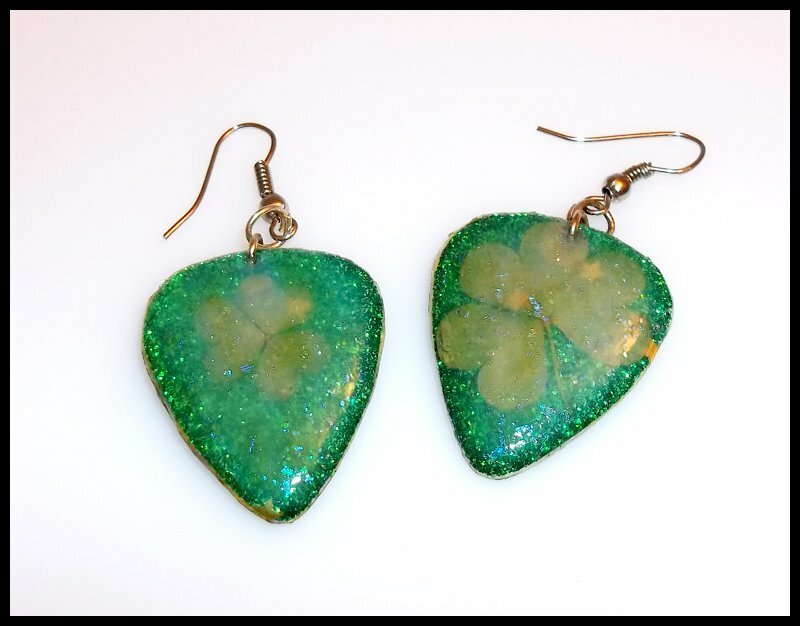 Clovers and Green Glitter Guitar Pick Earrings! Guitar pick pendants with clovers embedded inside! After the pick itself is processed, I glued on the clovers on a green glitter pendant and then cover them in several layers of epoxy resin (and mod podge to seal them in). The back features a gold pattern with gold glitter. Clover Guitar Pick Earrings from Becca Jones-Starr on Vimeo.